Everyone loves “In Every Age” and “Here at This Table,” but not many know the brilliant and talented woman behind those classic worship songs. In addition to her work as a composer, Janèt is also a parish music director. Janèt presents workshops on cantor dynamics, lector formation, parish repertoire, song of the assembly and keyboard improvisation. Currently residing in Hayward, California, Janèt serves as full-time director of music and liturgy at St. Joan of Arc Catholic Church in San Ramon. They will be offering a concert series in different locations.Please contact event host for further details. They followed our Lord, too: To the cross, to the tomb. They found the tomb empty and became the first to tell the world the Good News. Daughters of God is an groundbreaking collection that celebrates the faith and community of women -- from Rebecca, Elizabeth and Mary to the believers of today. Daughters of God is a collaboration of many talented women composers and performers, including Wendy Andino, Sarah Hart, Nellie Cruz, Jessica Alles-Smith, Janèt Sullivan Whitaker, Jennifer Martin, Rebecca Harper, Susan HooKong-Taylor, and others. The 14 original songs address -- in personal and poetic ways -- relationship with God, faith, motherhood, childbirth, prayer and the search for vocation. Though it speaks primarily to women, both men and women will enjoy this upbeat, contemporary music that explores the spiritual journey common to all Christians. Janèt's first recording with OCP showcases her gift for composition as well as her remarkable voice. This 14-song collection speaks the universal language of the Church with a variety of styles. Beginning with the joyous, reggae-spiced title track, the collection moves to a dark gospel ballad, a duet for weddings, a jazz-influenced tune and an Afro-Brazilian gospel processional in the street-samba tradition of Carnaval. Land of the Living has music that will appeal to choirs, as well as a selection of psalm and canticle settings for cantor and assembly. Music directors will find songs for a variety of liturgical moments and celebrations for use throughout the year. Are you ready for this? For 94 minutes of electrifying music packed onto two CDs? For songs that set hearts on fire and challenge you to really live the good news of the Gospel? Get ready to Live It! This compilation draws together 23 tracks from the biggest names in contemporary Catholic music, including Steve Angrisano, Tom Booth, Sarah Hart, Matt Maher, Jesse Manibusan, Ken Canedo and many others. It also introduces fresh music from 12 talented new artists who capture today's spirit and song. More than any other album on the market, Live It! 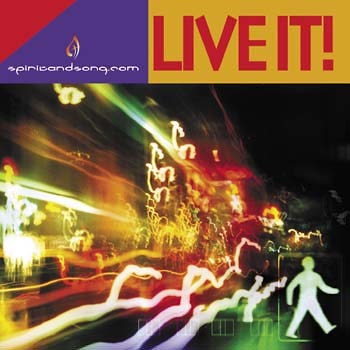 captures the wide range of musical styles rooted in Catholic spirituality -- which you can experience continuously online via spiritandsong.com. Featuring sweet ballads, edgy rock, folky pop and everything in between, Live It! doesn't compromise substance for style. These songwriters have drawn from Scripture, and the poetry in their own souls, to express the longing, devotion, struggle and joy we all go through on this wild journey called "faith." Highlights include the Daughters of God in a great cover of Carey Landry's "Hail Mary: Gentle Woman" and Val Limar Jansen in a gospel-style rendition of Jaime Cortez's classic "Rain Down." Don't just stand there. Hear it! Sing it! Live It! This CD features recordings of all eight songs on Janèt's Plenty collection. Preparing for Easter -- and heaven -- our hearts should sing for joy, knowing that Lenten prayers and practices only speed us along. 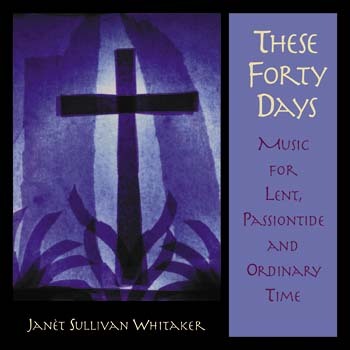 With These Forty Days, Janèt Sullivan Whitaker gives the Church a refreshingly joyful, major-key approach to this holy season. 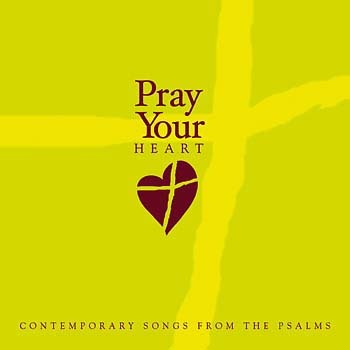 The 14 new songs include five psalm settings with verbatim Lectionary texts, a Lenten Gospel acclamation and two songs with children's choir accompaniment. Though intended primarily for Lent and Holy Week, many titles are perfectly suited for celebrations throughout Ordinary Time, weddings, funerals and more. Known for her ability to compose in a wide range of styles, Janèt has put together yet another eclectic mix of music. She recorded five new, traditional-style hymns in a church with a pipe organ and fabulous acoustics. Two songs feature an authentic R&B band accompanied by a gospel choir. Her setting of "Calvary," the traditional spiritual, has parts for guitar, mandolin and blues harmonica. "Wash Me Clean" is an uplifting, gospel-style song for communal reconciliation services and the RCIA scrutinies. In her generous performance notes, Janèt suggests that the verses of "The Lord Is My Light (Psalm 27)" be sung with "freedom, energy, and relaxed animation." Adding tambourine or shakers will give it a warm, Latin flavor. She wrote "Greater Love" for a parish with a Good Friday tradition of venerating an enormous, wormwood cross by passing it over the upraised hands of the assembly. A stirring rock anthem, it features an easily memorized refrain (freeing hands to hold the cross) and verses that match the emotional weight of the ritual. The refrain of "Immortal One" is an expansion of the "Trisagion," a traditional Eastern Orthodox hymn. She drew the verses from Psalms 25, 31, 130 and 142 -- ancient Hebrew songs of supplication in times of adversity. An ostinato refrain, as in Taizé-style chant, serves as the foundation for "Líbera Nos" (Latin for "free us"). A meditative Lenten Communion processional, it could also accompany the RCIA scrutinizes or veneration of the cross. Janèt suggests that a dramatic soprano, tenor or "reedy-voiced older child," sing the descant. Verses and refrains are in Latin and English. Her "Magnificat" uses Jean Sibelius" FINLANDIA, one of the most beloved hymn tunes of all time. It makes an ideal vehicle for Mary's song of praise for God's liberating covenant. Janèt added an original introduction, text, clarinet obbligato and soprano descant. A versatile piece for evening prayer, it's adaptable for use in both intimate chapels and grand cathedrals. 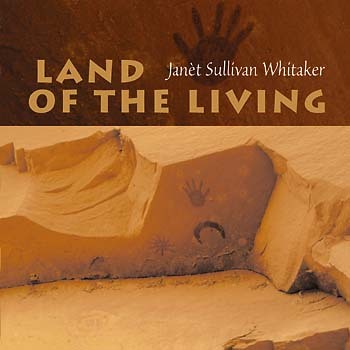 Blessed with a rich, powerful voice, Janèt Sullivan Whitaker is also one of the more innovative liturgical composers in the Church today. Her third collection celebrates Lent and Passiontide with a joy that is proper to this time of preparation and conversion. 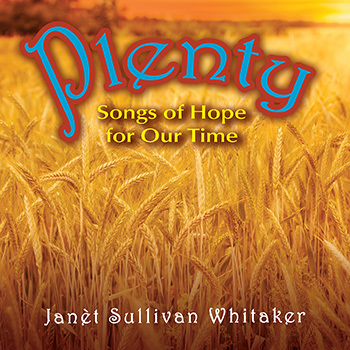 Drawing upon musical styles from around the world, Janèt Sullivan Whitaker has created an Advent collection that's as colorful and eclectic as the Church itself. Born out of her work helping pastoral musicians prepare for this busy and spiritually significant season, the music has universal application and appeal, reaching beyond Advent into Ordinary Time. As Janèt explains, "Remaining attentive to the demands of our faith means being Advent people all year long. We wait and watch for the coming of the Lord, the Christ child who is born in our hearts, every single day. The work of making peace and "being ready" is ongoing." Most of the songs are perfectly suited for the liturgy, while others make excellent pieces for prayer services, retreats and concerts. No two of them sound alike. Renaissance-style instrumentals and bluegrass-Celtic hymns follow Gregorian chants and full-choir, full-throttle gospel numbers, surprising and delighting the listener at every turn. There's even an other-worldly setting of the Magnificat ("Sing Out, My Soul") that blends Native American and Middle Eastern drumming and chant. Inviting us to "rise to meet the Long-desired One," "The Returning" is a charming bluegrass tune arranged for guitar, fiddle, mandolin and bodhran (drum). "Maranatha, Come, Lord Jesus" is a captivating setting of the "O" Antiphons employing Jewish modes and melodic elements. "You Humbly Followed" is a touching tribute to Mary and proof that Janèt's talent for singing and composing is matched by her gift for poetic song texts. The collection's anchor, though, is "Day of Peace," an emotionally powerful ballad and one of her best songs to date. Arranged for piano, voice and recorder, it doesn't allow the listener -- or singer -- to remain passive in their longing for peace but encourages all to be peace-makers, to "work and pray" for the peace and justice our world so desperately needs. Adding much-needed musical color to the Advent repertoire, Tryin' to Get Ready firmly establishes Janèt as one of the most gifted liturgical composers in the world today. Special Offer: The World Youth Day 2002 CD is now available for only $8.00 each (plus shipping) when you purchase five or more! Light of the World / Lumière du monde is a double CD containing more than two dozen tracks of contemporary Catholic music from around the world. Highlights include the WYD 2002 Mass setting and the official theme song, "Light of the World." The CD contains an eclectic mix of musical styles, from the sweet Spanish melodies of EnREDados and the ethereal tones of Kim Long, to the high-energy rock of Tom Booth and the earthy, Zambian rhythms of Imyimbo Shamepashi. Songs appear in a variety of languages, including English, French, Spanish, Italian, Vietnamese, Portuguese and Latin. A ground-breaking release: The first international collection of contemporary Catholic music ever made! This choral songbook offers voicing for all eight songs on Janèt's collection. Voicing ranges from SATB, three-part harmonies and unison. Instrumentation also varies, ranging from keyboard, piano, guitar, solo instrument in C and violin. This MP3 album features recordings of all eight songs on Janèt's Plenty collection. 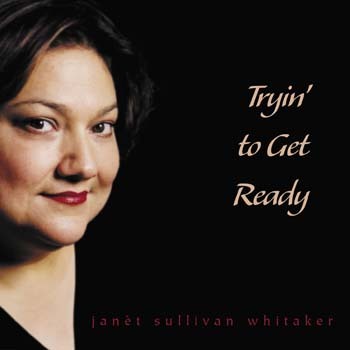 Janèt Sullivan Whitaker is a lifelong music minister for the Diocese of Oakland. In addition to her work as a composer and recording artist, Janèt is a dynamic cantor, pianist, arranger, percussionist, workshop presenter and retreat leader. 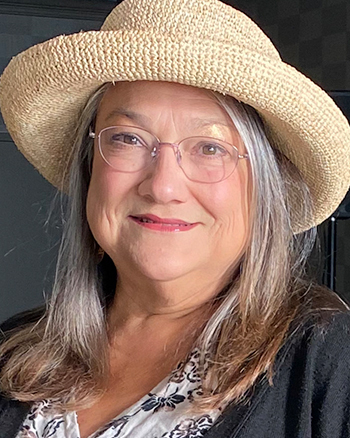 For almost two decades, she has served on the catechetical music staff for the One Bread, One Cup Summer Liturgical Leadership Conferences at St. Meinrad Archabbey in Southern Indiana. She holds a BA in music from California State University, Hayward (CSUEB), and a master of theological studies from the Jesuit School of Theology at Berkeley. Her most beloved songs are “In Every Age,” “Here at This Table,” “The Least of These,” “Christ Before Us” and “Day of Peace.” She has three solo collections of liturgical music, including Tryin’ to Get Ready (for Advent), These Forty Days (for Lent) and Land of the Living. 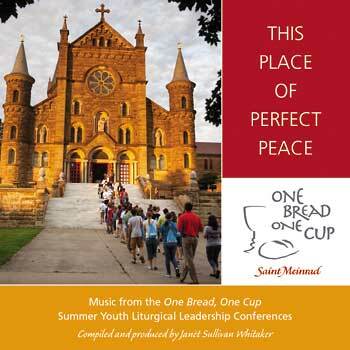 This Place of Perfect Peace, features music from her years with One Bread, One Cup. Her most recent collection Plenty brings a message of hope to people struggling with depression or anxiety and allows us all to celebrate God’s many graces. She recently collaborated with fellow composers on Our Common Home, a collection inspired by Pope Francis’ Laudato Si’ encyclical, offering timely music touching on themes of care for creation, poverty and solidarity.